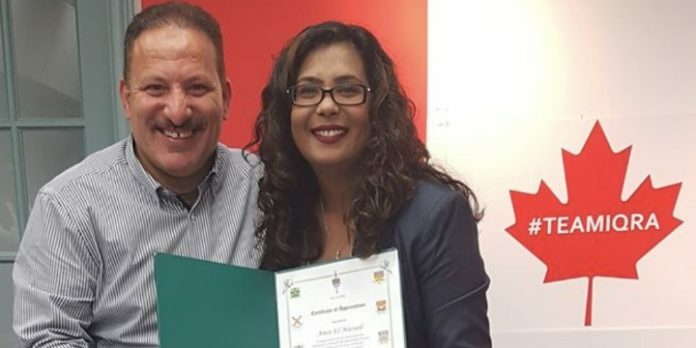 Amin El-Maoued receives an award from Canadian MP Iqra Khalid. Photo: Screenshot. Other chants included, “Israel and Hitler are the same,” and, “From the river to the sea, Palestine will be free,” which refers to the establishment of a Palestinian state in the territory from the Jordan River to the Mediterranean Sea, in place of Israel. “I will have more thorough due diligence in the future in the allocation of these certificates,” she affirmed.